The art of waxing your board is easy to learn and easy to mess up – but it can also be fun to get the hang of if you’re willing to take the time and do it properly. Snowboarding is a thrilling sport, but you want to be able to relax afterwards around a warm hearth, not in a hospital emergency room. Here's a quick guide to safety equipment you should bring along. Snowboarding presents its own dose of risks and dangers; taking preventive measures has always been the best way to handle them. 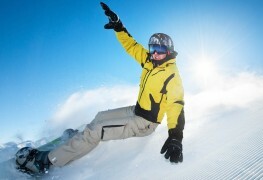 Here are some safety guidelines to ensure that you get the most from your snowboarding trip without injuries. It's critical to get your body in top shape as a snowboarder to avoid injury, feel stronger and ultimately have more fun on the mountain. 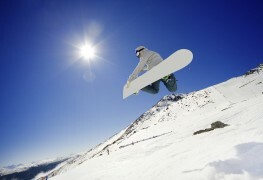 Here are five great exercises for snowboarders. Many Canadians love snowboarding, but it's important to stay safe on the slopes with the right equipment and technique. 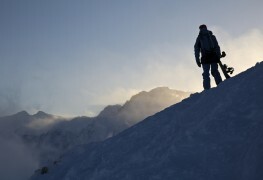 Follow these four tips for a safe snowboarding trip. Sharpening your snowboard from home used to require a lot of skill, but improvements in filing technology have made sharpening a much easier process. Discover how to prepare for snowboard season, so you can have as much fun on the slopes as possible this year. Making sure you have a solid understanding of how your bindings and straps work will help you have more fun on your snowboard this season. 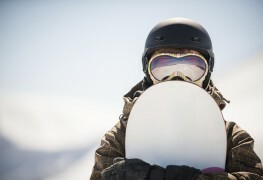 Choosing a stylish, secure snowboard helmet is easy if you know what to look for. Here's our guide to help you. Extend your snowboard's lifespan by removing rust from the edges with these simple tricks. 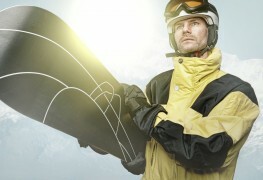 Whether you’re a novice or a seasoned athlete, you’re probably wearing the best snowboard brands. Find out why this is a good choice. Do you really need a snowboard stomp pad? Is it worth adding a snowboard stomp pad to your downhill arsenal? Here's what to keep in mind before making a decision. Getting a snowboard design that's as unique as you is just a matter of following a few simple rules to get a paint job you love. 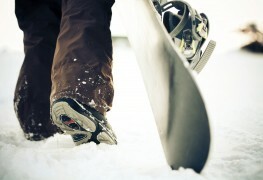 Knowing a few simple techniques will help you keep your snowboard in good condition and always ready for a day on the slopes. 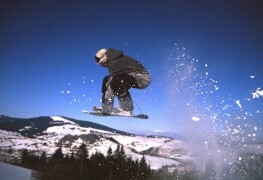 When the weather gets cool, there's nothing cooler than snowboarders. But where do they store their wicked rides? 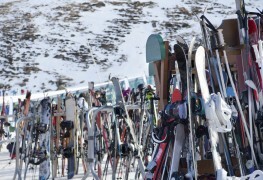 Snowboard racks! 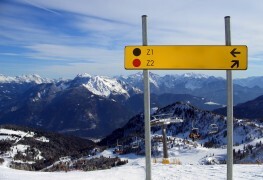 Thinking of trying snowboarding or just looking for bigger gear for your growing kids? Think about buying used snowboard equipment this year.